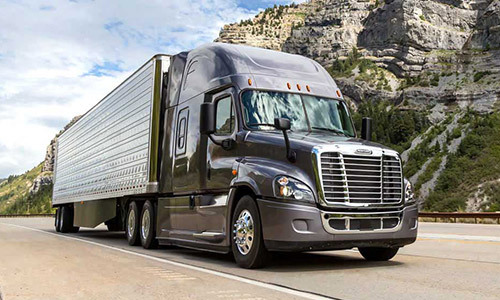 Old Dominion chooses Freightliner to control fuel costs and bring down its Real Cost of Ownership. The new Detroit™ DD15® engine helps Old Dominion achieve excellent fuel economy. Under the hood, a Detroit™ DD15® engine, equipped with a proprietary asymmetric turbocharger, optimized piston design and a variable-speed water pump, delivers up to 505 HP. With an aerodynamic exterior shaped to reduce drag and improve fuel efficiency, the Cascadia is the best-selling class-8 truck in North America. The Cascadia's improved fuel economy and freight efficiency means you can haul larger loads for longer distances on a single tank of diesel. The Cascadia’s wraparound, low-mounted dash, large windshield and sloped hood improve visibility and keep drivers focused on the road ahead. Geoff Belyea's firetruck was equipped with the RollTek rollover protection system, and when the truck rolled over during an accident, RollTek saved his life. With innovative support telematics and more than 400 service locations spread across North America, Freightliner delivers superior service. 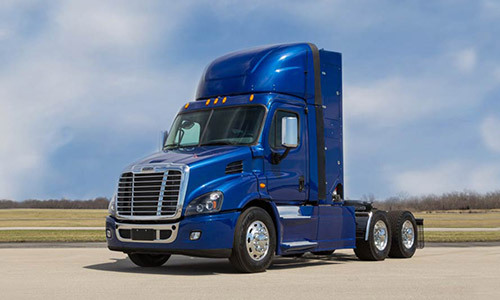 Designed and built to take on the harshest conditions, the Freightliner Cascadia is one tough truck. 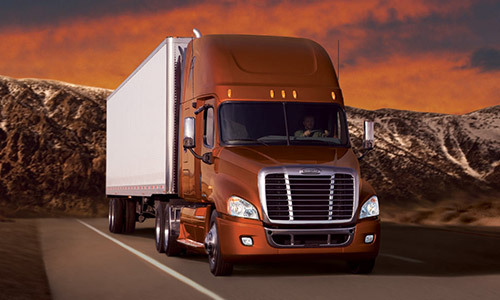 For quality you can depend on, choose Freightliner. In this business, your reliability is your reputation. 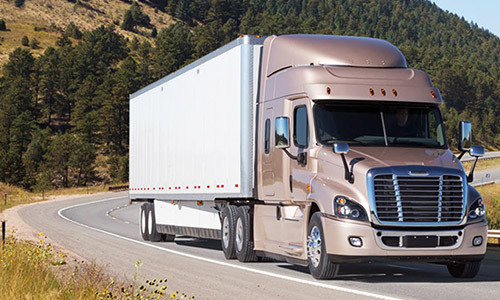 Rigorous testing maximizes the Cascadia’s dependability and longevity. Freightliner's reliable trucks and large dealer network help Brossard Leasing keep its trucks on the road and deliver its uptime guarantee to its customers. Detroit™ Connect Virtual Technician℠ allows Tex-Mix Concrete's single fleet manager to manage every truck in the fleet, reducing downtime and generating more revenue. On-time delivery is essential for US. 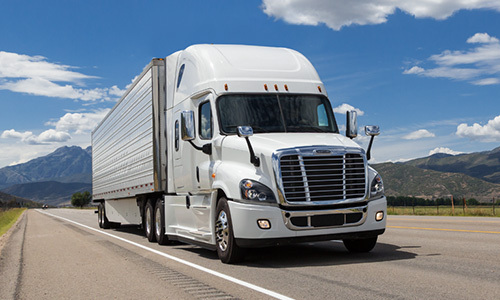 Foods, and Detroit™ Connect Virtual Technician℠, the Cascadia's on-board diagnostics system, helps fleet managers catch problems before they become major issues. Detroit™ engines are designed to go 50,000 miles between oil changes. At $250 to $300 per oil change, the savings add up quickly. The reliability of Freightliner® trucks helps Liquid Trucking deliver just-in-time freight, allowing them to accommodate their customers. 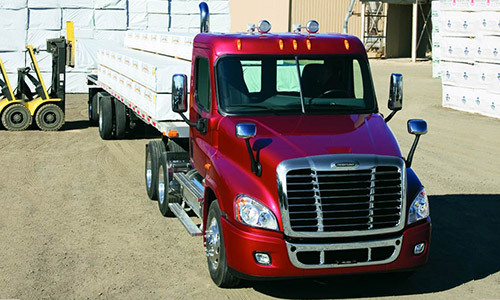 Cascadia: From day cabs to mid-roof and raised-roof sleepers, Freightliner has the right on-highway truck to fit your business needs.